Prairie View A&M vs. Texas Southern: Which Band Won the Halftime Show? The piece I wrote predicting that Grambling State would waltz past Alcorn State in the SWAC Championship Game was soaked in arrogance, narcissism, and a failed attempt at humor. When Alcorn State easily dispatched Grambling State 49-21 in Houston, I deserved to be mocked and ridiculed for underestimating a champion. Grambling was 9-0 in league play with a win over Alcorn State during the regular season. 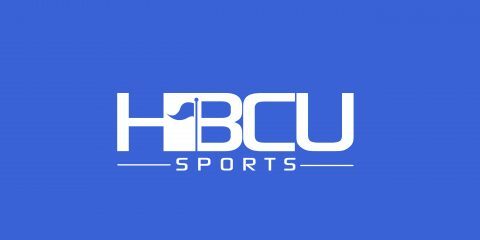 Alcorn State was still worthy to be called champion, but dropped a few passes, had a bad case of the fumbles and struggled against a Jackson State squad that could hardly be mistaken for a functioning FCS football outfit. None of that matters now when everyone is playing the results. I am on the wrong side of the scoreboard. But this is not an apology. I want to make this clear to Alcorn State fans everywhere. This is just an acknowledgment of self-awareness. Being called out on social media and in the comments sections on this very site doesn’t bother me. I was amused and flattered by most of the responses. I always have welcomed the feedback. What did seem a little unfair, however, was the perception that my prediction was rooted in bias and hatred because I’m a Jackson State alum. I don’t hate any school. I hate the Green Bay Packers because I’m a Chicago Bears fan. I hate the St. Louis Cardinals because I’m a tortured Chicago Cubs fan. I hate Derrick Rose’s knees because who doesn’t hate his knees, if you’re a Chicago Bulls fan? Not Southern, Grambling State, the Alabama schools or Alcorn State. I weep for Mississippi Valley, though. In all the years I’ve occupied this space, I’ve been both critical and complimentary of all HBCUs, regardless of school colors. In all honesty, I don’t care who wins or loses these games. I gain nothing from the outcomes to have rooting interests. My only responsibilities on this site is to provide content that is interesting, factual, somewhat entertaining and informative. If I were biased or held a vendetta against Alcorn State, why would have picked them to win the SWAC East in 2014 and 2015? I must have temporarily put my hatred of Alcorn State aside when I picked the Braves to beat Southern in last year’s SWAC Championship Game? Shockingly, I did not receive any compliments or attaboys after Alcorn State won the school’s first league championship in the divisional era. Maybe it is because doing so would crumble the persecution complex narrative that fans create in their minds to incubate haters who don’t exist to justify their victimhood. You’re the definition of a hater. A hater of all things Alcorn State wouldn’t call out voters in the preseason FCS Coaches Poll for not ranking the Braves in the top 25. Why would a person who allegedly despises Alcorn State suggest that it would be good for HBCUs if Jay Hopson’s bunch won the SWAC title? And speaking of Hopson, I, the guy who is “the definition of a hater” said that he should be the SWAC Coach of the Year. A wise man once said that a person should never predict the outcome of sporting events because they only set themselves up for scorn if they’re wrong and don’t get any credit for being right. If anyone is owed an apology, it’s the writer who occupies this space for exposing the hypocrisy of a fandom who can’t wait to pounce and demand repentance for the sins of being wrong for picking against their squads but rarely, if at all, will offer a well done my faithful servant when the prognostication submitted is accurate. Ya’ll know where to send your tweets, Facebook messages and comments. I’ve confessed. Your turn, Braves Nation. LOL. I was only mocking you for your prediction. Otherwise, I think you have been pretty fair and a good writer. However, I feel your prediction came from a bad analysis. Anyone who saw the first match up, know, Alcorn just did not play that second half until near the end. This time, they decided to play the entire game and I give credit to the coaching staff for getting them prepared to play the entire game.